I have Windows Vista; my wife has Windows XP.. For two days I was able to go to gapfire.com on my PC with no problem. Now I am unable. My wife's computer takes me to gapfire.com so I know there's nothing wrong with their website. I have tried using firefox, google chrome and IE on my computer to reach the site with no luck at all. Any help would be most appreciated. Thanks for your quick reply but in truth I did not understand the information when I went to the link. Here is an alternative way to get around this problem. The assumption is somebody or something has blocked the site inn your PC. You can circumvent this, in many cases, by using a proxy server. A proxy server is a kind of relay where you give them the link you want, they get it and send the content to you as if it came from their site. If you can reach the site via proxy, that is a sure sign your computer has some kind of blocker installed. Somebody does not want you to see that site. Are there messages or details when the site is not able to load? 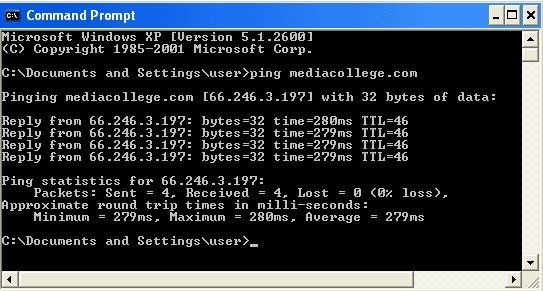 Try pinging the site on cmd prompt. 1.Hit Start and then Run, Enter. 3.Type ping gapfire.com then Enter. If the results show a series of replies, the connection is working. The time shows you how fast the connection is. If you see a "timed out" error instead of a reply, there is a breakdown somewhere between your computer and the domain. see a "timed out" error instead of a reply so what is the cure? •You are not connected to the Internet. •The website is encountering problems. Check your Internet connection. Try visiting another website to make sure you are connected. You could also ask your Internet Provider about the problem. I still think you should open your hosts file and examine it since it can be used to block access to websites. Another reference: http://maximumpcguides.com/windows-vista/edit-the-windows-vista-hosts-file/. If a website is being blocked by the hosts file, it would block access regardless of what browser is being used, so this aspect of the hosts file directly relates to the problematic behavior you've encountered.